Although Comedy Central is mostly known for "South Park" and "The Daily Show With Jon Stewart," the network has also produced numerous programs and stand-up specials featuring black comedians. Dave Chappelle, Chris Rock, Katt Williams and other comedy heavyweights have graced the popular cable network. 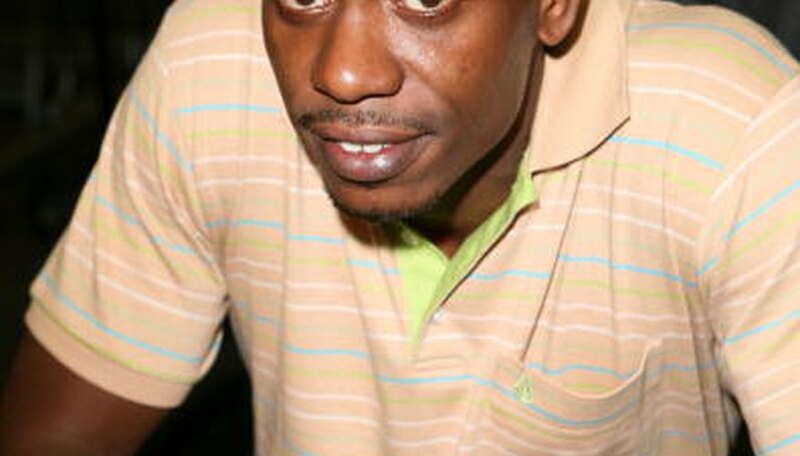 Washington, D.C., based comedian, Dave Chappelle produced and starred on "Chappelle's Show," a sketch and stand-up comedy program that began in 2003 and ended in 2006. Chappelle's Show featured the comedian parodying musicians Rick James, Prince, R. Kelly and Sean "P. Diddy" Combs. "Chappelle's Show" also featured original characters such as crack addict Tyrone Biggums and Clayton Bigsby, a blind white supremacist who is unaware that he is black. "Chappelle's Show" also featured other black comedians such as Charlie Murphy and Wayne Brady. Comedian David Alan Grier had a political satire/ news program on Comedy Central called "Chocolate News." Grier is perhaps is known for his tenure on the classic sketch comedy program "In Living Color." "Chocolate News" aired from October to December 2008 and featured satirical sketches regarding the urban community. Comedians Jordan Peele and Alphonso McAuley were also on "Chocolate News." Stand-up comedian Katt Williams has had several comedy specials aired on Comedy Central, some of which have been aired unedited. Williams' 2007 comedy film "American Hustle" has been aired numerous times on the network since it debuted in 2008. The movie "First Sunday" starring Ice Cube, Tracy Morgan and Williams is also frequently on Comedy Central. Katt Williams also performed at the Roast of Flavor Flav. Popular black comedians such as Chris Rock and Kevin Heart have had stand-up specials aired on the network. The stand-up comedy movie "The Original Kings of Comedy" starring Steve Harvey, D.L. Hughley, Cedric the Entertainer and Bernie Mac has been aired as well as "The Queens of Comedy" starring female black comedians Mo'Nique, Adele Givens, Sommore and Laura Hayes. Cedric Yarbrough starred on "Reno 911!" as Deputy S. Jones, and Niecy Nash starred as Deputy Raineesha Williams. Greg Hollimon starred as Principal Blackman on Comedy Central's cult-classic "Strangers with Candy." Kayla Layne Crawford is a New England native currently living in Philadelphia, Pa. pursuing her Bachelor of Science degree in communications at The University of the Arts. She has been a professional blogger for more than a year, writing product reviews for The Impulsive Buy in the satirical tone she is known for.